As the Northern Fleet unfolds a series of exercises in Russian east Arctic waters, Head Commander Nikolay Yevmenov announces the construction of a new base on the coast of the Laptev Sea. The Northern Fleet Commander’s visit to Tiksi last week marked another step in Russia’s military buildup in the high Arctic. Tiksi is located on 71 degrees north, by the mouth of great River Lena. According to Yevmenov, a new base located near the town of Tiksi will stand ready for operations already within six months. It will include a total of 11 buildings, all of which will be interconnected with roof-covered passages. The buildings will house living quarters for soldiers, an administrative unit, a diesel-fueled power station, water and fuel storage facilities, a cantina, garages and more, the Northern Fleet informs. The new base is likely to have the looks similar to the bases recently built in Franz Josef Land and the New Siberian Islands. Construction has already started, Admiral Yevmenov makes clear. 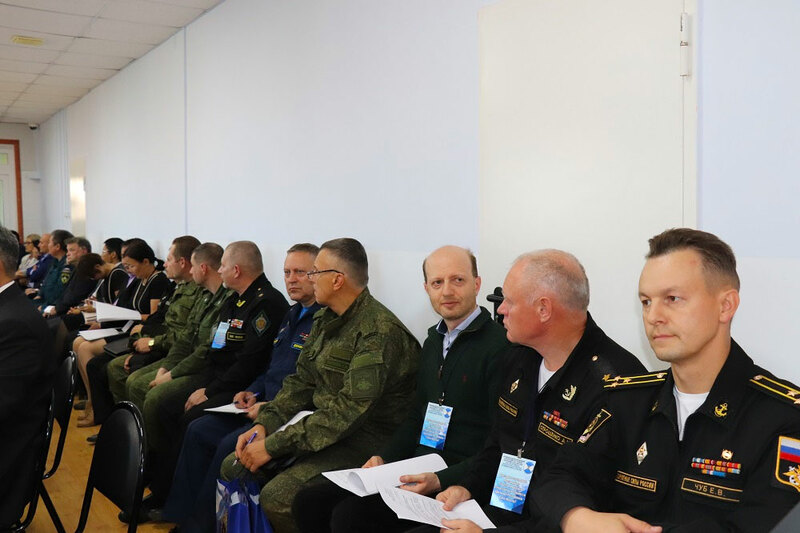 «I believe that Tiksi has a great future,» Yevmenov told regional authorities, and made clear that local conditions now must be facilitated in a way which makes the everyday life of military professionals as comfortable as possible. The new Tiksi garrison will be part of the Northern Fleet’s 45th Army and include anti-air forces. There will be 100 soldiers living on site, the government of Yakutia informs. «These will be radio-technical and anti-aircraft units, which will be able to fully cover the Arctic air space as a shield,» Yevmenov said. He also made clear that the new garrison in Tiksi is part of a grand plan for the whole region. «We started this process on the island of Kotelny, where a radar unit and and fighter jet base are under development. This unit will be become part of a larger radar system and include also an aviation command point and support functions,» the admiral said, and added that the Kotelny division this year will be rearmed with more precise and high-speed weapons. «Then came the base in Franz Josef Land, as well as a radar unit on the coast of the Kara Sea», Yevmenov said in the meeting. And more is in the making. According to the Northern Fleet commander, radar stations will be built not only in Tiksi, but also in Alykel, near Norilsk, as well as in Chokurdy, Chersky, Kigely and Taymylyan. The visit to Tiksi coincided with a meeting in the regional Yakutian Council on the Arctic. Head Commander Yevmenov also inspected the Northern Fleet forces that recently had arrived on site after a two-week’s voyage from the Kola Peninsula. Following the visit, the Northern Fleet’s Arctic Brigade on the 3rd of September launched tactical training on protection of the local Arctic coast. Motorized infantry units engaged in defense combat action and fired with big-calibre automatic weapons and grenade launchers. After the drills, the Arctic soldiers boarded the heavy landing ships «Kondopoga» and «Aleksandr Otrakovsky» and headed towards the New Siberian Islands and Navy base Kotelny, the Northern Fleet informs. The two ships will after the visit to Kotelny proceed further towards the east, through the Bering Strait and then ulitmately take part in the great Vostok-2018 exercise together with ships from the Pacific Fleet. As the Arctic Brigade trained on the coast of the Laptev Sea, other Northern Fleet troops unfolded an exercise in the East Siberian Sea. Included in those drills were forces based in Kotelny, as well as the crew of anti-submarine vessel «Vice-Admiral Kulakov». 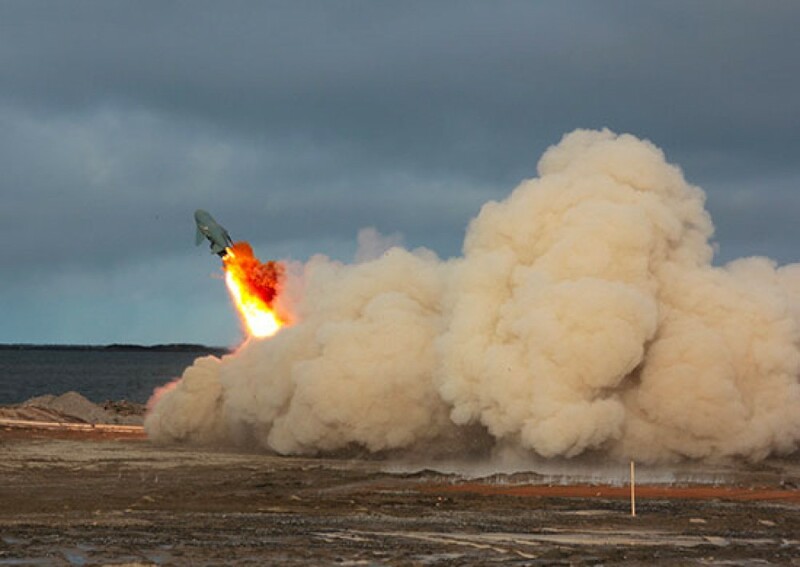 Missile complex Rubezh, deployed in Kotelny, fired two Termit cruise missiles on targets located about 50 km away in the ice-covered part of the Laptev Sea. At the same time, the «Vice-Admiral Kulakov» shot with its Kinzhal anti-aircraft missile complex, as well as missile complex Pantsir-S1 and artillery complexes AK-100 and AK-630, the Navy informs. 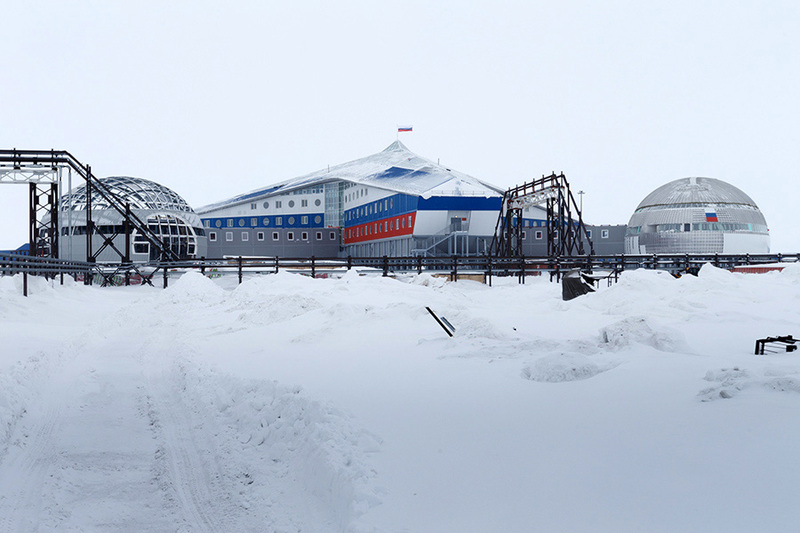 Russia has over the last few years invested big sums in the construction and upgrades of bases along its Arctic coast. Both on its Arctic archipelagos and along the mainland coast have been built bases with naval and air force capacities. «The Northern Fleet is capable of conducting operations to protect its islands and coasts in the Arctic,» Yevmenov underlined in connection with this week’s training in the region. It should not be an issue of concern for Russia’s neighboring Arctic countries, he maintained.